1st April 2019 – There is an increasing need to harness our network of experts, thought leaders and industry experienced professionals to provide BigChange customers with invaluable insight into the trends and important industry related issues impacting their bottom line. To start this series, we are particularly excited to introduce Steve Herbert. 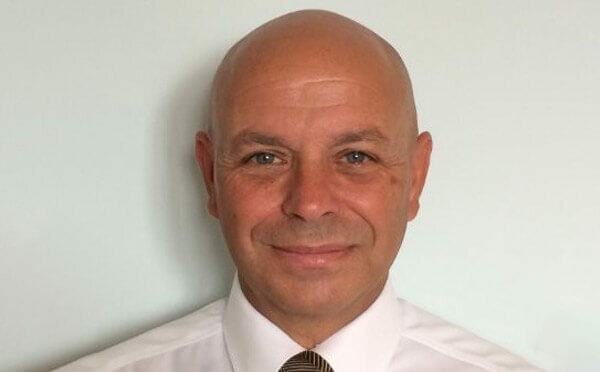 Steve is a seasoned and influential Field Operations & Logistics Director with extensive General Management and Programme Management skills gained within the UK and around the globe. In the coming weeks and months, Steve will be on hand to answer some of your commonly asked questions and give over his battle tested experience to the BigChange Network. BigChange: Tell us a little bit about your background, how you got started in the industry and some of your most significant accomplishments? I started my career as an apprentice electrical engineer in the TV rental industry. After 12 years on the road I wanted to move into management and was given the opportunity to run a small service centre in Barnsley. I had watched those I worked for and learned how to get the best from people, how to interpret performance statistics and pay attention to detail. I got some good results and I was given a second site in Doncaster, followed by a third in Sheffield. I closed the first two and collapsed them into the Sheffield site which became one of the biggest service centres outside of London. In order to save cost the TV rental industry was consolidating and we were acquired by what was then an industry giant, Granada (now ITV). It can be a challenge when you are on the wrong end of a takeover and this was no different. I went backwards for a short while but then gradually worked my way back to become second in command at a new Communications Centre in Wakefield. Here I reported to a great guy who taught me the value of recruiting the best you can and he built a high performing team. Between us we got some good results and as a consequence I was promoted to Regional Project Manager. Shortly afterwards I was invited to go to Boston to sort out a problem in the North American business. I had never been to USA before so time zones, massive geography and a different culture were a shock to me. The US business had a contract with HBO to install laser disc players across North America but were months behind schedule. It was whilst in the US, I learned that being a project manager, tasked with getting things done when dependent upon the good will of others to give up valuable resource to a project that they are not involved in, can be a bit of a test. The art of persuasion was the key to getting the project back on schedule. I worked closely with my new American colleagues and within a couple of months we were back on track. The client made me a job offer to join them in New York. I declined, HBO signed a contract extension and I returned home the following day to a new job as Area Operations Manager in Nottingham. I did that job for 2.5 years before being made redundant during a re-structure. Within days I was approached by Dixons Carphone and joined them as Regional Support Manager (North). The company was doing well so I stayed with them for 11 years and loved every minute of it. Shortly after joining, the HR Director asked me to transfer into their distribution operation. I worked hard (once working for 35 consecutive days!) and had various roles. The most difficult job I had was General Manager of their NDC in Stevenage where everything was wrong. It was eating GM’s at an alarming rate (I was the fourth in 3 years) but I stayed for 2.5 years and with the support of my team, achieved results we couldn’t have dreamed of when we first started. As well as increasing productivity and pick accuracy we also delivered annual operational savings of £1.5M and reduced annual stock loss by £1.8M. This success got me promoted to National Distribution Centre Director, selected for the Executive Development Programme at Henley Business School and appointed to the Board of Mastercare, the service, distribution and warranty provision arm of the business. The business employed 46,000 people in UK and Europe and had ambitions to expand further east. A different HR Director asked me to go to Russia and things suddenly got rather difficult! I became Logistics Director as part of a Mergers & Acquisition team considering a 1 billion US dollar acquisition of the huge Moscow based electrical retailer Eldorado. After 6 months of risking life and limb every day (I would advise you not to fly in a commercial aircraft called a Yak or travel without the correct document in your pocket), we decided not to buy the business so I returned to the UK 18 months earlier than planned. I then left Dixons and accepted an Operations Director position with HomeServe to run a furniture repair operation in Weston super Mare. The business didn’t work very well and needed a lot of attention. There was no technology whatsoever and poor standards across the board. I brought in some good guys, we fixed it and I was appointed to the HomeServe Warranties Board. I was then asked to take responsibility for their plumbing and drainage business. Based in Norwich it was in poor shape and overspending against budget every month. I moved the central operation to Banbury, implemented a new job management system and over time grew the employed headcount from 50 to 500. Here the big achievements were a 50% increase in engineer productivity and first visit fix uplift of 8.0%. The team built the largest employed Plumbing & Drainage business in Europe and I will always be proud of what we achieved. During the following year I was appointed UK Service Operations Director, given more responsibility and a place on the Executive Committee of HomeServe Membership Ltd. I stayed with HomeServe for 11 years and loved it there. Trouble was I was working ridiculous hours every day and the job had taken over my life. So I left and started my own consultancy business and called it Achieving Operational Excellence. I now use my knowledge and experience to help businesses large and small to get better results and to help the owners to fulfil their ambitions. BigChange: How has your relationship with BigChange enabled you to give over your experience to young businesses and entrepreneurs? I met Martin Port whist I was with HomeServe and we have been friends ever since. I am full of admiration for what he has achieved and it is clear that Martin and his team are building something very special. During the last couple of years Martin has asked me to help a number of his clients and I really enjoy working with them and passing on my knowledge and experience. There isn’t much that I haven’t seen during my career so most of the time I can assist in finding solutions to operational problems. BigChange: How has your time spent working in Russia, Europe & the US shaped your vision to think more globally and be aware and receptive to customer needs? We live in a demanding world, with customer expectations rising each year as technology plays an increasingly influential part in our daily lives. The countries I have worked in are very different but customer service principles remain consistent. They want the best they can get for the most competitive price and they want it at a time that suits them. The connected home was a pipe dream a few years ago but it’s worth taking a moment to consider the rate of technological change we are all experiencing. Technology can either be scary or exciting. On the basis that it’s not going away, I believe that it’s better to embrace technology and make it work for you. BigChange: What advice can you give to small /medium size business owners trying to scale up operations? Always have a plan, a Road Map which starts now and finishes where to aspire to be. It should detail by month what you want to do and how you will do it. It may have to be amended during the journey but it should form the basis of the actions you will take and the direction you will go. Don’t be afraid to think radically and challenge conventional working practices. Problems are there to be overcome and I advise people to think their way through difficult situations using logic rather than emotion. Successfully dealing with challenging situations can be mentally draining but can also be a great opportunity to learn about yourself and the people around you. When it comes to people, don’t be afraid to make changes and employ the best you can get. Someone who is good today may not be right for a bigger business so be prepared to make difficult decisions when needed. As far as technology is concerned, let it do as much for you as possible. Try to stay abreast of change and take action when needed. If you don’t then you risk going the way of many others before you – history is littered with big brand names that got complacent, missed the warning signs and paid the price. Previous PostCEO’s Blog – When was the last time you visited your shop floor?Next Post3D printing – will it really make a difference in the service sector?